The EEG Lab team at Hershey Medical Center celebrates the ABRET accreditation for outstanding management of the Epilepsy and Critical Care EEG Monitoring Programs. 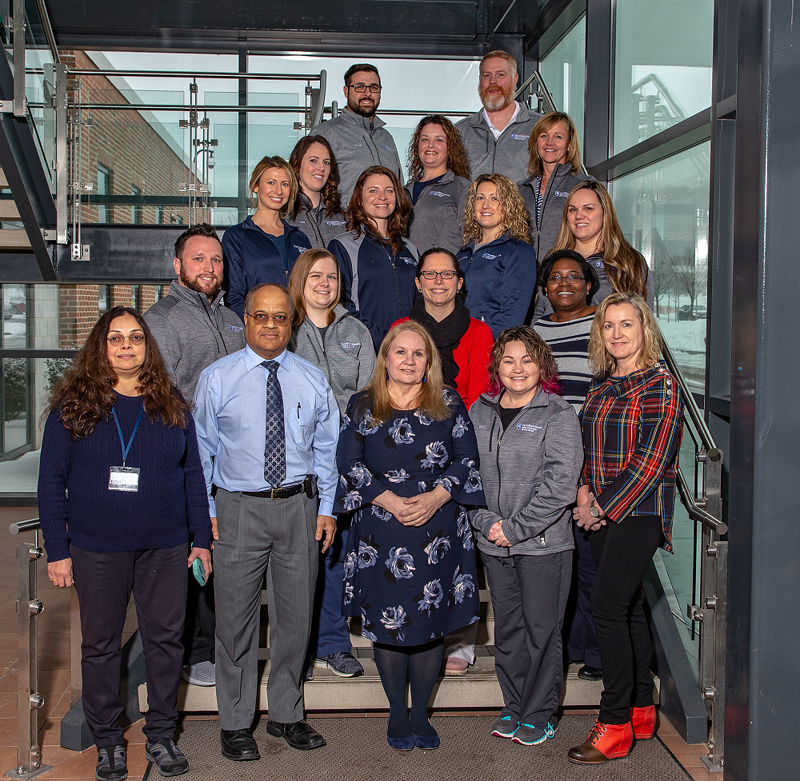 The Electroencephalogram (EEG) Lab received a five-year accreditation for outstanding management of its monitoring programs, patient safety, adherence to practice standards and use of the latest technology. The ABRET Long-Term Monitoring (LTM) Laboratory Accreditation Board, a nonprofit credentialing organization, granted the accreditation after evaluating the programs for the past year. The Milton S. Hershey Medical Center is one of just 26 medical facilities in the U.S. to earn the accreditation. The closest ABRET-accredited centers in the Northeast are the University of Maryland Medical Center in Baltimore and Massachusetts General Hospital in Boston. This recognition follows ABRET’s previous five-year accreditation of the Hershey Medical Center EEG Lab for the technical quality of routine EEGs. For the past decade, the EEG Lab has also achieved Level 4 accreditation― the highest level available ― from the National Association of Epilepsy Centers. The EEG Lab at Hershey Medical Center evaluates and treats approximately 3,500 patients suffering from seizures per year. Its 15 neurophysiology technologists and support staff includes seven registered EEG technologists and two with additional LTM certification. An estimated 65 million people in the world, including approximately 3 million in the U.S., suffer from epilepsy, a neurological disorder that causes abnormal electrical activity in the brain and recurrent seizures. The condition can be present at birth or caused by a head injury, brain tumors or infectious diseases.